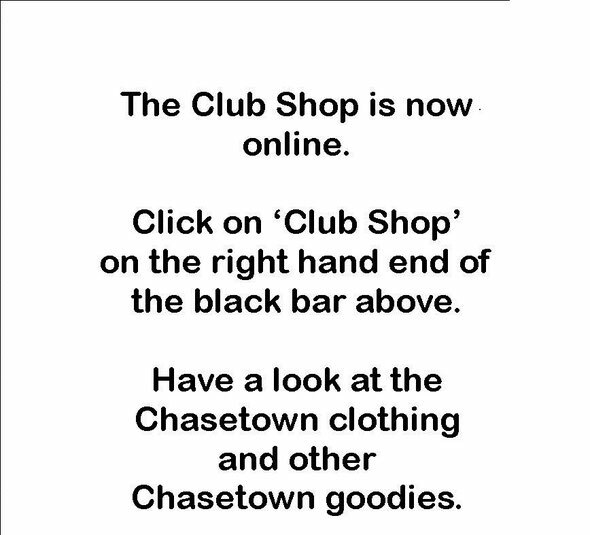 A warm welcome to the website of Chasetown FC Supporters Club. Feel free to get in touch via the 'Contact Us' page if you have any questions, queries or suggestions. Membership prices for 2018-19 remain the same as last season i.e. £2 Adults £1 for under 18s. Membership due now for all dedicated Chasetown FC supporters, young and old. Why not make yourself a fully paid-up SUPPORTERS CLUB member this coming season, supporting YOUR club - #SUPPORTUSSUPPORTTHECLUB. See the clubhouse supporters club table at HOME games to secure your membership for this coming season. The WEEK 35 winner of this season's "Aim for Eight" football prediction competition, sponsored by LCP, is one CHRIS YIACCOUROU, courtesy of his 'tie-break' winning entry! Chris's winning entry was ONE of a total of TWO entries, that achieved 7 correct results from 8 predictions at the weekend. With a total of 29 goals scored overall, it was his 'lucky dip' (pre-selected results) entry with 23 goals as his tie-break guess, that was deemed closest of the two, to this overall goal tally. Thus meaning CHRIS will receive this week's £50.00 Weekly Prize for his £1 Stake. The JACKPOT prize though was therefore NOT won and will remain at £500 for Week 36! PLEASE NOTE: If the JACKPOT is NOT WON in Week 36, it will remain "capped" at £500 going forwards, until such time it is won. In the meantime, a reserve jackpot fund has again started to accumulate (as of Week 6 this season) and will come into play, once this first jackpot fund has been won! (This is currently at £500 as well now). As of (Week 26) this season, a third jackpot fund will now start to accumulate (For the record, this is currently at £250). Week 36 (2018-2019) online entry form is NOW available by clicking !! HERE !! Remember, you've got to be in it to win it. All previous "Aim for Eight" results for 2018-2019, can be found !!! HERE !! !